A complete, easy-to-understand guide on winning website design for your business. Everything you need to know to choose a website designer or agency that’s perfect for you. Why is website design important? The internet is over 30 years old now. What?! Yeah, I wouldn’t have guessed that either. People are shopping, socializing, dating, networking, learning and doing business online in South Africa now more than ever. There’s an old saying “first impressions last.” Over 80% of shoppers will look you up online first before buying. How do you think they’ll react if you don’t have a website or your website is a poor representation of you and your business? Would you expect to make a sale showing up to a sales meeting in a dirty, old shirt, or worse still, naked!? Your website, or lack of one, instantly tells your people if you’re worth their time and money. If you’re struggling with sales or selling higher priced products or services, a new website, or website upgrade, may be just the thing you need to reach your goals. In your online or digital marketing strategy, your website is the star of the show. It’s the piece of internet real estate that belongs to no one but you. It’s also the only place online controlled by no one but you. Marketing online has everything to do with controlling attention. With all the digital noise of social media and other competitors, your website is the only place you can easily direct people’s attention where you want it. This is why when you click on a social media or online advert the first place you get sent to is the advertiser’s website. Digital marketers know that once you are there, there is a much higher chance of you engaging with their brand and becoming a buyer. Another important reason to have a good website is so that people can find you and find out more about your products or services quickly and easily. Have you ever gone half crazy trying to find a business’s email or contact no but it isn’t listed online? You’re not alone. Along with finding you, your website should take your people one step further. It should inspire confidence in your business and create fresh leads that become sales. A well set up, attractive website can do this for you while you sleep. To choose the best possible website designer or company it helps to understand as much as possible about what you really need. You can then find a provider who best answers these needs. NOTE: You can download a copy of the checklist that follows right here. It's already formatted with form fields for everything you need to type up or print out your ideal website requirements. We'll also send you our other bonus material and articles every now and then. You can unsubscribe at any time. Make a list of requirements for your website. What your website will focus on— news? Your products? Your reliability? Your speed of service? etc. A website with a clear message has a better chance of being understood and leaving a strong impression on your visitors. What do you want visitors to do on your site— buy products? Sign up as members? Share your content? Contact you or leave their email so you can contact them? Who is your target audience? Other businesses? High-end buyers? Mass consumer market? Etc. What are the words and subjects they use to talk about your industry? Have you got the copy (text) that will go on your site or will it need to be written? Copywriting is a skill that will greatly increase how well the site communicates the exact message you want to send. If you have copy but aren’t sure how good it is, it may be a good idea to have it professionally edited or rewritten. Do you have professional images (photographs, graphics or illustrations) for your site? or will they need to be provided by the web designer or agency? Will you need any special content created to make your website even more amazing? For example, custom-made video or animations, infographics to visually explain your business etc. What special functions will you need? E-commerce, online booking, background video, online chat etc. How many pages do you think it should have? Think about a rough idea of how your site could be laid out and which different pages it should have. You don’t need to be exact but having some idea of this will help you get correct quotes and good designs more quickly. What other websites online do you really like that could inspire and help you decide on your own design? You don’t have to do this one but it helps. What is your budget and how flexible is it? Writing down all these ideas will help you better understand what you’re looking for. It will also help you communicate to web designers or agencies so they can quickly understand and quote on your design project. Use our editable PDF made for this purpose to quickly type up or write down these points. Now that you know what your requirements are, you can now more easily look for a website designer or agency that can provide these features. How Do You Know Which Web Designer Will Best Fulfill Your Needs? 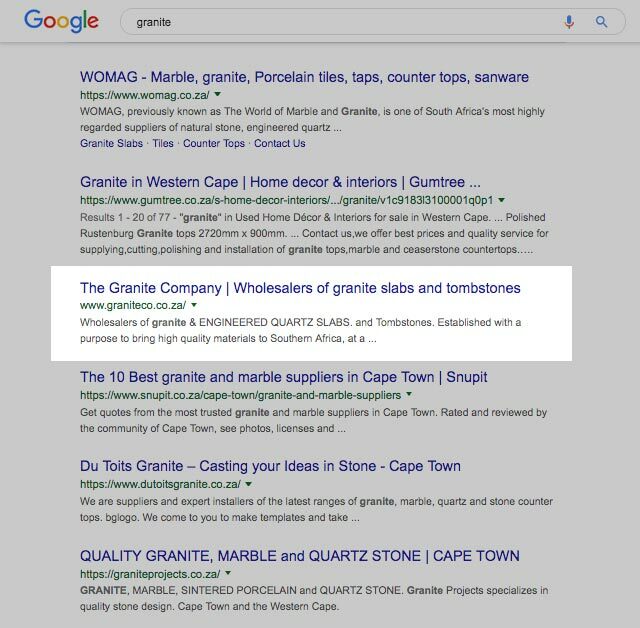 If you browse through a list of marketing companies in South Africa you’ll have no trouble finding plenty of website designers and website design companies. A good place to start, to decide if you want to use them, is to look at their own website. Does it look modern? Is it clean and clear? Do you instantly understand what they’re about and what they offer? Or is it confusing or boring and doesn’t make you interested in using their services? If a website designer doesn’t even take care to make their own website amazing, how likely are they to make sure yours is? Take a look through their online portfolio on their website. If they don’t have one consider moving on. Check out the other websites they’ve built. Do they communicate what the business is really about? Do they feel clean and clear with a clear message throughout? Have they created sites with the same or similar features to what you wrote down in your requirements list above? Do these websites read easily on any type of device? If you’re not browsing on your phone, open up the website on your phone. Is it still easy to read and good looking? There are certain features you must include in your website design to make it really effective at marketing your business online. Make sure you choose a supplier who cares about these features. We’ll go over each of them here and why each is so important. A website needs to load fast. The faster the better. A study by Amazon found that for every extra second it took their site to load, they lost 10% of their shoppers! Website speed also influences how easily Google sends people to your page through their searches. It is easier for your business’s website to come up in Google’s search results if your site is fast. You want to make sure your site loads as close to instantly as possible. I’m sure you’ve come across websites on your phone that you have trouble reading easily. The text is so tiny that you have to zoom right in to see what’s going on. The tiny buttons are hard to press with your thumb. It’s painful, right? There are so many different types of screen sizes out their today: from phones to tablets to enormous retina screens and everything in between. In actual fact, most people today use phones to browse the internet. Websites need to be built build so that they look good and are readable no matter what the device being used to view them. This is called responsive website design. The website’s design responds to the screen size of the viewing device. You can check if a website designer is creating responsive websites by opening up a website they’ve built (or their own website) on your computer. Take a corner of the browser window and drag it to be wider and narrower like in the example above. Do the images and text on the page still look good and read easily as you change the width of the browser window? Is there a mobile-friendly navigation button, like the three lines above? If not, do not use them to design your website! You’ll be missing out on business from anyone with a screen that it isn’t designed for. SEO (Search Engine Optimization) means doing everything possible to make people searching with Google find your website. The goal is for your website to be in a top position on a google search results page for search words that relate to your business. Traffic from Google is some of the best type of traffic you can get. If someone clicks on your site when they’re searching for “the business that does X”, they want to find a business like yours right now! We’ve found that people who come to our own site from Google spend twice as long on our site than traffic coming from channels like social media. When someone is scrolling through Facebook they’re probably not there to find out about a specific need they have. They’re just checking out their friends and interests. You may catch their attention with a post or ad but it’s usually just for a moment. With Google searches it’s another thing entirely. That person basically asked Google “show me businesses that can help me with…” If your business comes up right away and isn’t too far from the top, they’re going to click on you. A certain percentage of these people will contact you. And once it’s set up it costs you nothing to keep getting new leads. Make sure the website designer you select includes SEO as part of their package. I would suggest checking this out for yourself. Even if it says they do SEO on their website, once you get into a discussion with them, ask to see results they have produced for their clients. You need to see client websites ranking high on the first page of Google for search words that match what their business offers. Another way to check if a website designer knows SEO is to ask them about how it works. If they don’t want to tell you or make it seem really confusing, it’s not a good sign they know what they’re doing. It’s important to check if a website designer or agency actually does SEO and not just take their word for it. SEO is technical. Some website companies don’t understand it themselves and they know most of their clients don’t either. So they say they do it but actually, they don’t. I’ve personally experienced this myself with a website company I’ve worked with recently. One of the most powerful digital channels for expanding your business and sales is email marketing. One of the biggest challenges in email marketing is growing your database of names and email addresses. A great website can instantly change how quickly you get email sign-ups on your site. Ask to see evidence of increased email sign-ups from previous websites built by any designer you’re considering. Fantasy author, Melissa McPhail, had a 6 times instant increase in email signups from the new website we built for her. If you’re going to be selling products online directly make sure your website provider is skilled in setting this up. Browse through their portfolio to view any e-commerce websites they have built for clients of theirs. Go and check out this client website and see how user-friendly their online shop is. Would you feel confident buying on this site? Something to consider in choosing a website design company is what other digital marketing tools they offer other than website design. Your digital marketing campaigns will mostly involve your website. You may need website changes in the future as part of a digital campaign. It’s going to be easier (and maybe cheaper) for the guys that built the website in the first place to do it. If they also offer other types of digital marketing like email marketing, social media campaigns or content marketing it will make your marketing efforts simpler. You won’t have two different agencies to coordinate with, or have to turn over the website design to someone else who isn’t familiar with how the website is built. The number of pages you need on the website. The quality and style of the website: world-class, premium, simple but elegant etc. Extra features you need: E-commerce, custom-made content etc. If the website needs to be connected up with any other software systems. Another thing that will influence cost is the experience and reputation of the website designer or company you hire. Like with most things you pay more for quality. You can pay almost nothing for a website if you really want to. You’re most likely going to get a website that is worth almost nothing. The best website companies know how valuable their services are and how much money they can make their clients. Their prices reflect this real value. Consider what your return on investment on a good website is going to be. Consider the message you will send about your own value with an excellently designed website. Don’t just find the cheapest option available. 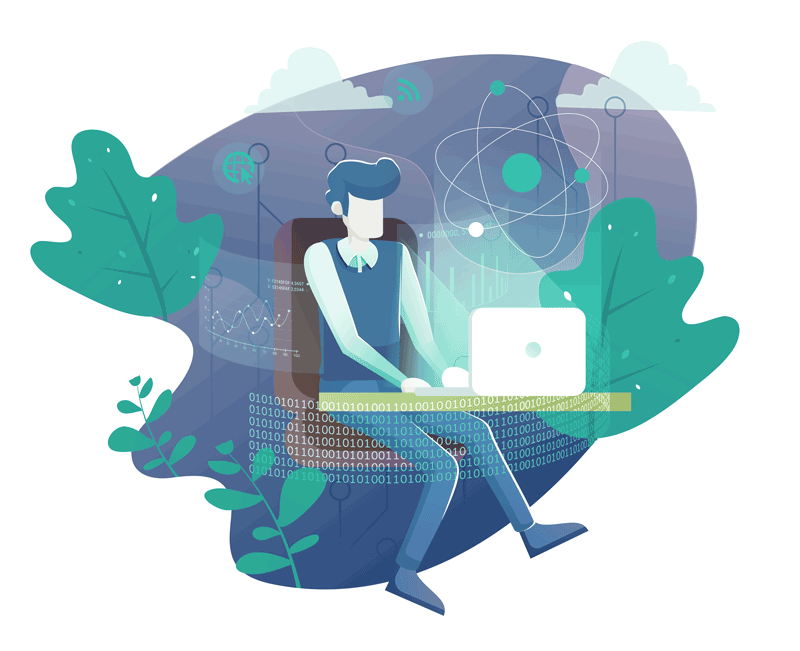 In this article, I’ve taken care to help you understand enough about website design to choose a designer that’s best for your needs. We’d love to build you a winning website, but if we don’t honestly feel we’re right for the job, we’ll recommend you someone who is. If there’s something in this article I haven’t covered? or maybe you’d like to know more about anything I’ve mentioned? Leave a comment below and I’ll respond as soon as I can. Join the Rocket Nation. 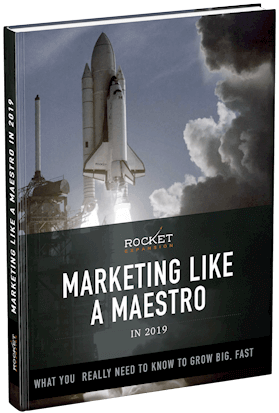 You'll get weekly marketing advice and instant access to our definitive guide: Marketing like a Maestro. You'll understand and be able to use proven, basic fundamentals applied by all successful marketers today. We'd love to see you achieve your marketing goals and take your business where you want it to be. © 2019 Rocket Expansion Digital Marketing Pty Ltd.